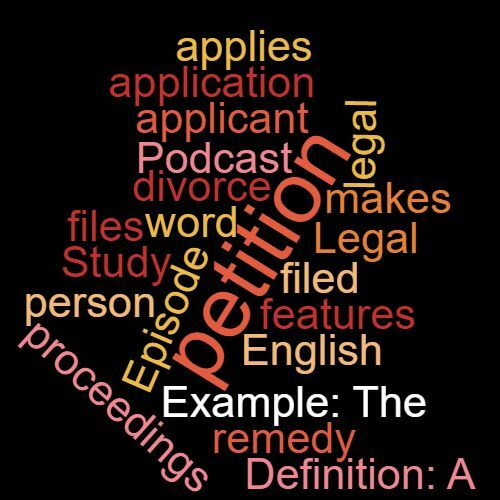 Definition: A person who makes an application for legal proceedings, who applies for a remedy or files a petition. Example: The applicant filed the petition for divorce. This word features in Episode 47 of the Study Legal English Podcast.